Update 6th April – Square has indicated that it will send dollar payments from Coinbase bitcoin transactions directly to its merchants. San Francisco-based mobile point-of-sale (mPOS) giant Square sent a jolt of excitement through the bitcoin ecosystem when it announced that it would allow users to pay for goods and services with the digital currency via its online marketplace, Square Market. With a valuation of $5bn, Square is already a giant in the payments space despite its relative newcomer status. Founded in 2009, it’s backed by millions in venture capital investment and a star executive, Twitter co-creator Jack Dorsey, who even tweeted the news that the company would accept bitcoin personally. However, there were still some unanswered questions about how Square would integrate bitcoin payments into Square Market, what merchants could expect from the service and what Square’s long-term vision for integrating digital currency would be. Still, Square also revealed that it has a particular vision for how to make bitcoin acceptance easy, one that may limit the potential for new merchants to be exposed to the digital currency the way they are through other services, at least in the short term. As such, the new comments may offer a glimpse of what Square Market users can expect and what the company’s approach may mean for larger, merchant-facing companies operating in the space. Square suggested that the goal with the new initiative will be for bitcoin to be as easy as possible for Square Market merchants, meaning, for now, that bitcoin will be kept behind the scenes. The company is processing payments through San Francisco-based bitcoin wallet provider Coinbase, so its merchants will not have the ability to hold bitcoin. 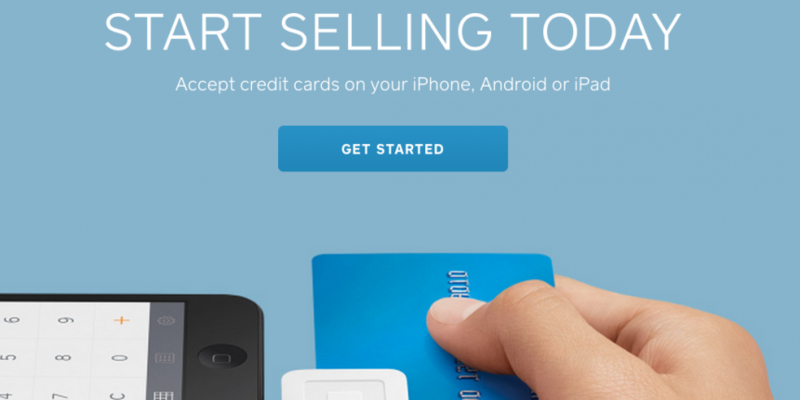 Further, the dollars that the merchant receives will be sent from Square, not Coinbase. Square also indicated the 2.75% transaction fee on all bitcoin sales it generates would remain, keeping its pricing consistent with other methods. Transactions will be priced according to Coinbase’s rate at the time of checkout. Square has also released a new guide for bitcoin buyers that takes these individuals step-by-step through the purchasing process. Bitcoin buyers simply need to enter their shipping address and email before electing to “Pay by QR code” or “Pay by Bitcoin Address” before confirming the payment, a process Coinbase users are likely to find familiar. Further, refunds will be treated the same as other payment methods. Customers will receive their refund in the “original payment form.” Additionally, if merchants do not want to accept bitcoin payments they can opt out by contacting Square customer service. Though Square did answer some questions, it didn’t elaborate on other queries. Most notably, it did not indicate how it would manage the risk of zero-confirmation transactions or comment formally on the recent IRS ruling and if Square Market merchants would be affected. Furthermore, it did not comment on whether Apple’s anti-bitcoin position will affect purchases made over the Square merchant app, or how long it has been monitoring the bitcoin space. Still, there could be larger implications to Square’s decision to take a more background approach to bitcoin with its Square Market. Namely, merchants may not realize that an increase in sales is attributable to bitcoin. Notably, other merchant marketplace providers offer the ability for merchants to gain this insight. 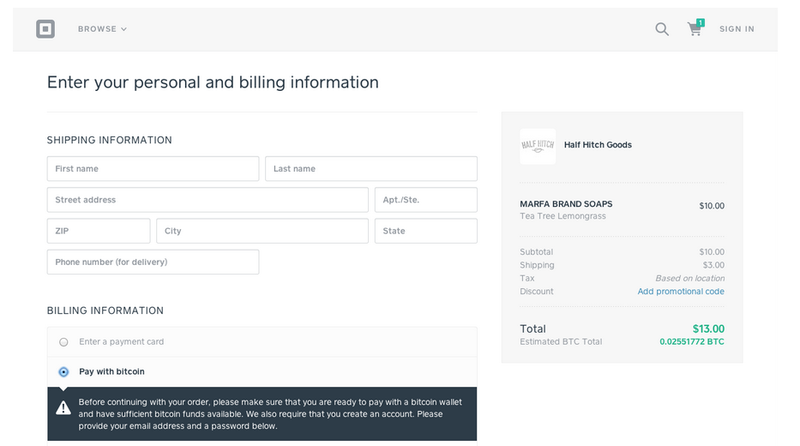 According to Shopify, this lets merchants tell how much money they took from a certain payment gateway, which in turn lets them assess their success accepting bitcoin. Members of its Professional Plan service can see this information automatically. Still, the service is more affordable than Stripe’s proposed processing plan, which charges 2.9% plus an additional 30 cents per transaction. Despite the questions about how Square has gone about testing bitcoin thus far, even those who are contributing for similar business see the move as a boon for the ecosystem at large. Hieu Bui, CEO for bitcoin-centric marketplace BitDazzle, welcomed Square to the ecosystem, but stressed that Square might not be using the Bitcoin protocol or the bitcoin ecosystem to its fullest potential with the decision. Bui also saw the bigger picture implications of Square’s decision, suggesting that PayPal could easily follow a similar route, where benefits are lost in translation, should it decide to accept bitcoin. BitDazzle charges a monthly fee for its service, which allows it to keep bitcoin transaction costs in line with the capabilities of the protocol. Mitchell Callahan, a developer behind the merchant-friendly point-of-sale tool PocketPOS, believes that Square is right to focus on the end result, facilitating BTC payments, even at the potential expense of merchant awareness about bitcoin as a payment option. Plus, as Callahan indicates, the fact that Square is working with bitcoin at all is noteworthy, as it could signal that the company may be open to expanding the program, and adding millions of merchants to the bitcoin network in the process.